TECTAINER ... "Competent Range of Special Containers"
TEC, a engineering consultancy company was established 1988. As specialist in oil terminals we specialised in LPG, Lube and Bitumen performing turnkey builds for oil majors such as Lukoil, Mobil Shell, BP and Chevron during the mid 1990's. Opportunity to perform logistics consultancy work and an invention called the Bitutainer (a box inside a box for Bitumen Transport) deviated the companies activities into containerisation over 12 years. Company restructuring lead to tectainer and TEC amalgamated to find niche markets in containerisation. Hence the company is now known as "TEC tectainer" as name associated with "Tectainers". Rex Michau (NZ C Eng), the owner of tectainer, UK and major shareholder in the manufacturing facility; tectainer Yixing China heads up the engineering design department whilst directing the 80 managerial and skilled staff within the tectainer family. Simply, "If its special we build it." The history of TEC is one of the reasons the designing of special containers from simple bulkers to complex process equipment has been made easier. In the early 1990's Rex Michau was contracted to Kvaerner as a project engineer and then manager performing design and installations with Norske Hydro. The projects focused on topside work over equipment. 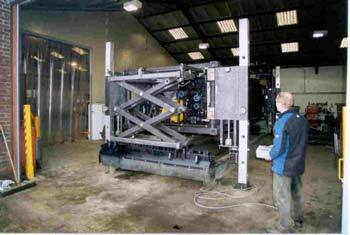 All designed and approved to DNV 2.71 offshore standards. In the 1990's TEC secured consultancy work for Catlex China whereby studies performed produced savings for the company. The expansion into greater China meant that a lubricants plant was required in Tianjin, near Beijing. In 1996 TEC commissioned this turnkey start up facility in 3 months. 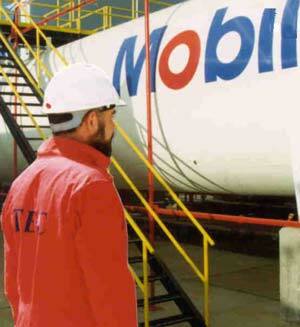 With a reputation for performing TEC then secured the contract with the responsibility of installing all of Mobil's LPG storage expansion works into Kenya, Ethiopia and Eritrea in 1998. In all 200 tonnes of storage was successfully mobilised and installed. In 1999 through 2000 TEC project managed and constructed a turnkey lubricants plant for Luk Oil, Russia with the responsibility of supporting downstream supply of lubricants packaging.